Hey guys so about a month ago I replaced the head gasket on my 1949 Chrysler﻿﻿ windsor, yesterday as i tried to start it there was antifreeze shooting up thru the carb, so i took the carb off and there was antifreeze﻿﻿﻿﻿ in the headers, there was no water in the oil or anything and looked ok. Not sure as to why there is antifreeze in the headers tho. Any suggestions? Looks like a water pipe going into the manifold. If you can remove the intake and still able to leave the coolant system full, put a pressure test on it. 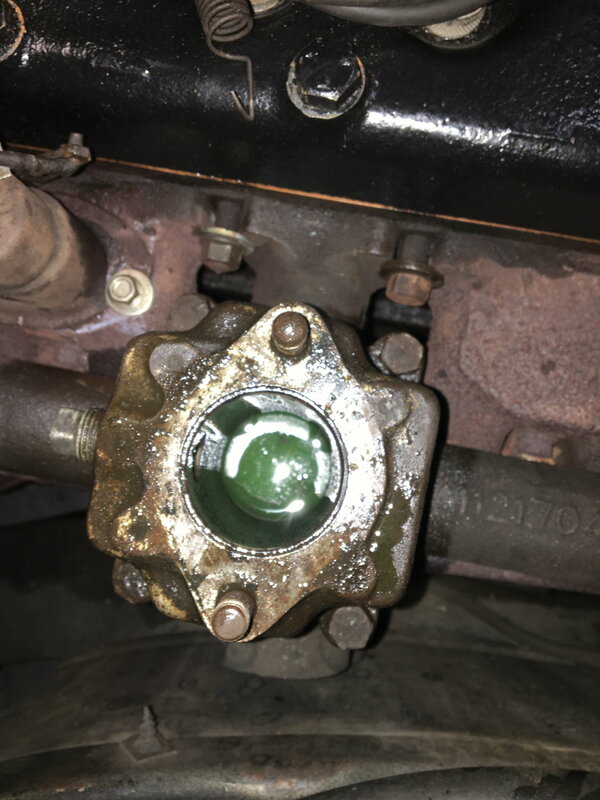 See if coolant leaking from an intake port. That may help you pinpoint the problem. It is kind of strange the coolant is shooting out of the carb and not being drawn into the cylinders when you cranked it. Antifreeze leaks out of Maxwedge Motor...Need help!